You can celebrate 100 years of comedy at the Pompano Beach Cultural Center in a fun night of laughs and entertainment featuring Lenny Dave. 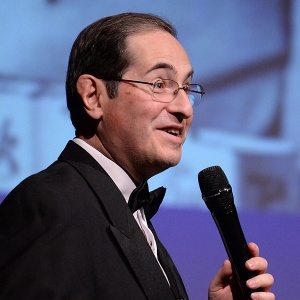 Dave is a nationally recognized comedy historian and humorist and he will be highlighting a Century’s worth of funny men and women during his show “100 Years of Comedy!” on Wednesday, March 27 at 7:30 p.m. at the Pompano Beach Cultural Center. Tickets are $30 pre-sale and $35 at the door; Pompano Beach residents $25, Seniors $20. Learn more at ccpompano.org or call 954-545-7800. If you enjoyed the greatest comedians of the 20thcentury, including greats like Jack Benny; Lucille Ball; Bob Hope; Laurel & Hardy; George Burns & Gracie Allen; Groucho Marx; Mae West; Charlie Chaplin;Jimmy Durante; Sid Caesar; Red Skelton; Carol Burnett, Milton Berle; and so many other superstar comedians from the 20th century, this show is worth checking out. All these great humorists and more, will be featured in an evening event aiming to bring back some of the nostalgic memories of your favorite comedians along with musical skits associated with them. Lenny will be accompanied on the piano by Bob Vogel. Vogel has entertained audiences nationally for decades with his musical skills, wit and warmth. Together, Lenny and Bob take great pride in presenting an evening of nostalgia and comedy. Despite similiarities in names, Dave has little in common with Lenny Bruce. This show will be filled with good, clean fun. Pompano Beach Cultural Center is located at 50 W. Atlantic Blvd., Pompano Beach, FL 33060. For more about cultural events and fun things to do in Pompano Beach and all of the season’s biggest events read Pompano! magazine and search our website. This story was prepared by our Pompano Beach news desk with additional event info provided by the city of Pompano Beach, their websites, and additional venue staff releases.